A pink eviction notice is posted on Tyson Goldstein's trailer. 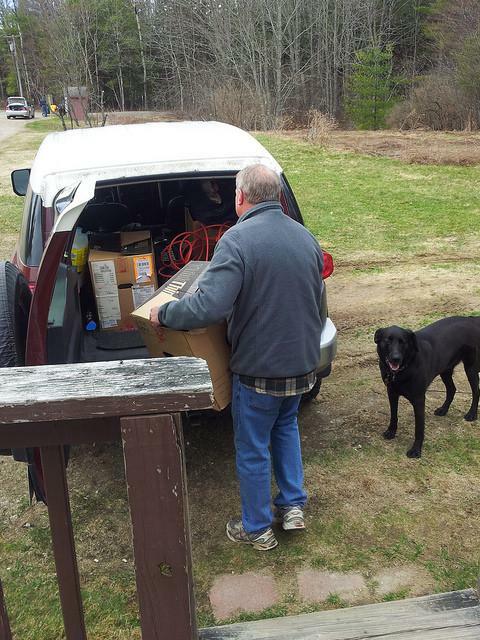 Steve Conary, one of the lucky residents with someplace to go, packs up his truck. Tyson Goldstein and his roommate, Brett Hollowell, Sr., have been without water for two days. They've got dirty dishes in the sink and no place to take a shower or use the bathroom. Just down the road, sewage from their aging trailer park is leaking into a nearby brook. And that's why there's an eviction notice from the town sitting on the kitchen counter. It was hand-delivered Wednesday by the code enforcement officer. Goldstein says his heart sank when he read it. "I don't have anywhere to go. I don't even have any family. Brett's my family," he says. Brett Hollowell has a car. But, like several other residents in the park, he also has two dogs, which makes picking up and moving somewhere difficult. An even bigger challenge is coming up with money for a hotel or another apartment. He's on a fixed income. And right now he's broke. Susan Sharon: "What are you going to do come 5:00?" Brett Hollowell: "Have no clue. Pray. That's about it. Worry about that when the time comes, I guess." James Valley, the code enforcement officer, plumbing inspector and health officer for the town of Richmond, says he had no choice but to ask residents of Meadowbrook to vacate after their water was turned off because of a malfunctioning sewage pump. "Basically, there was no water coming in and no way of discharging the water," he says. "So, by those standards, the plumbing code says I have to shut it off because it's an unsanitary living condition." 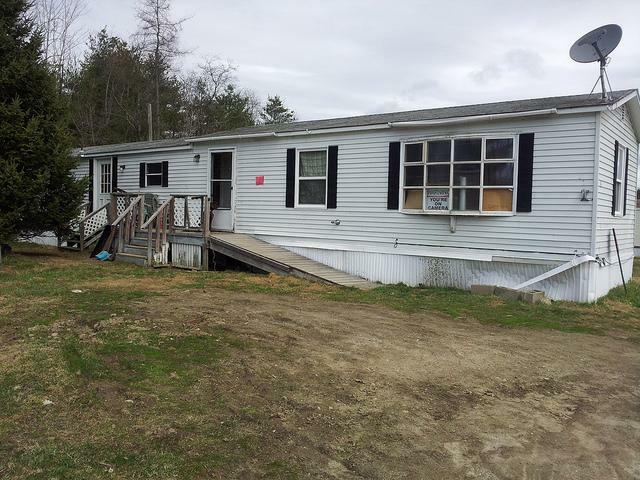 In addition, leaking pipes were causing the trailer park to use 10 percent of the town's water, even though just nine of the trailers in the park are occupied. Valley says the town of Richmond is prepared to help qualified residents with General Assistance. But that's the extent of assistance that can be offered. "It is not the town's responsibility to find them new living quarters. That would be the property owner," Valley says. "People are asking me: 'Are you responsible?' Technically, I am responsible," says Russ Edwards, now 80 years old, and the park's landlord. Edwards says he's owned it for nearly 20 years. 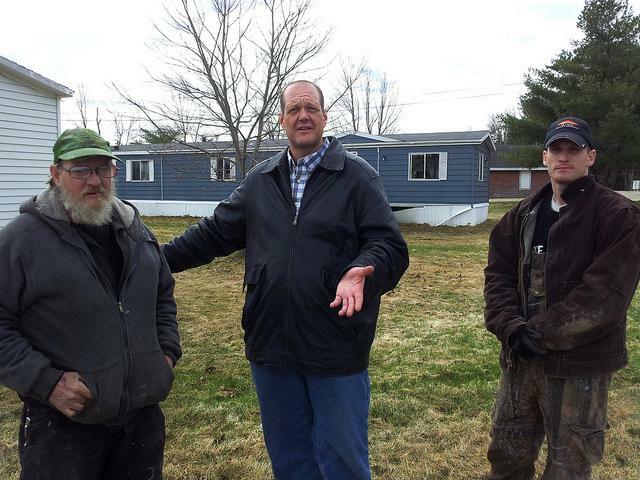 During that time, town records show he's racked up about $15,000 in unpaid property taxes. He also owes close to $20,000 in unpaid water bills. That's one of the other reasons the utility shut off water this week. But Edwards, who lives on Peaks Island and says he's on a fixed income himself, says there's a reason why he couldn't afford to pay it. "I haven't had any rent now since last October and I got a half a month then." Edwards says the man he hired to serve as his property manager, fix the leaking pipes and address the sewage overflow and collect the rent for him, has withheld the payments, failed to follow through with corrective action and misled the park's residents. John Wilson paints a different version of the story. He says he's spent thousands of dollars of his own money to try to make improvements to the trailers, many of which are in poor condition and not up to code. And he says Edwards has turned his back on a chronic problem involving a leaking pipe. "He refused to fix it last winter, saying that it was just a water table issue," Wilson says. "We ended up, again, out of our pocket, having to hire excavators to come in. They had to dig 10 feet down and 10 feet over and they found two massive holes in the pipes, and we had to have that fixed and replaced. We've been telling him about these leaks. He refused to fix those. The maintenance man told him about the leaks. He refused to fix 'em." 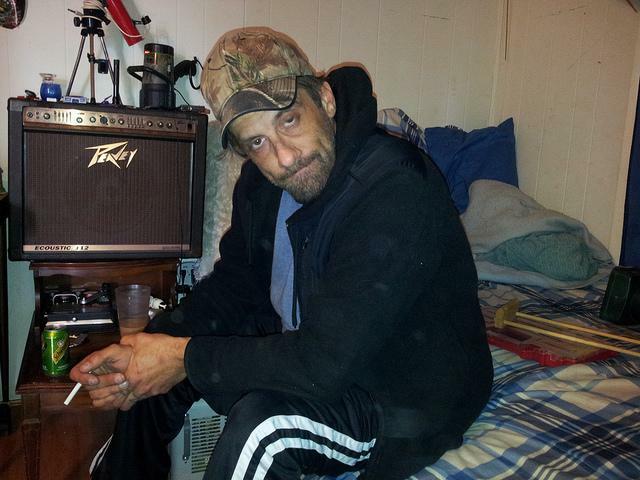 One resident who is able to leave is Steve Conary, who's lived at the park for about a year. He's not sure where he'll go, but he says he has a job - and more options than most of his neighbors. "There should be some human compassion built into this," he says. "There is no thought about the people that live here and that's what it seems like to me. Nobody just gave any thought." 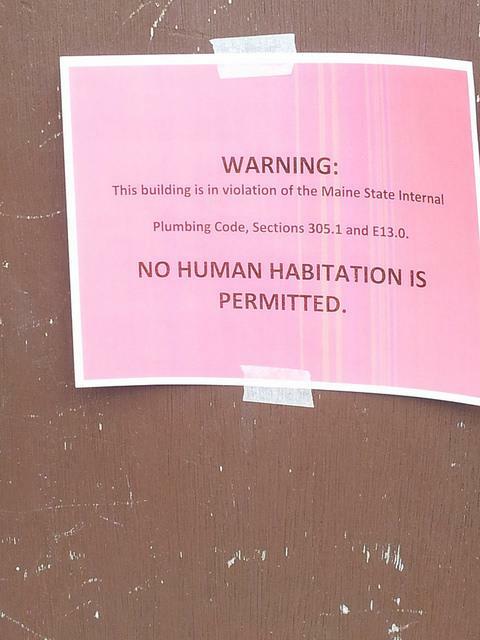 Meanwhile, landlord Russ Edwards is now facing a Notice of Violation from the Department of Environmental Protection that he says he's working to address. Failure to do so will result in more penalties.